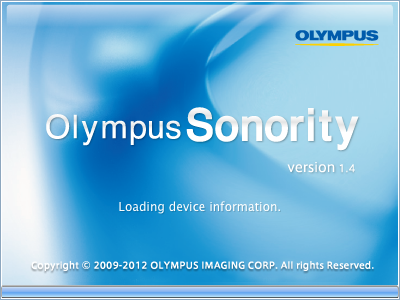 Olympus have just rolled out a free update to their Sonority audio software taking it now to version 1.4.1. The update is available for both the Mac and Windows platform and applies to Sonority (free), Sonority Plus and Sonority Plus for Editors : Music editions. It is now possible to import PowerPoint files created using Office for Mac 2011 or later into Sonority for Mac. This free update to Olympus Sonority can be access by simply selecting Check For Updates from the toolbar. Olympus Sonority is not available as a free download. Sonority is supplied with certain digital voice recorders as standard. In Australia Olympus Sonority is packaged with the Olympus DM-3, Olympus DM-5, Olympus LS-3, Olympus LS-100 and Olympus LS-20M.